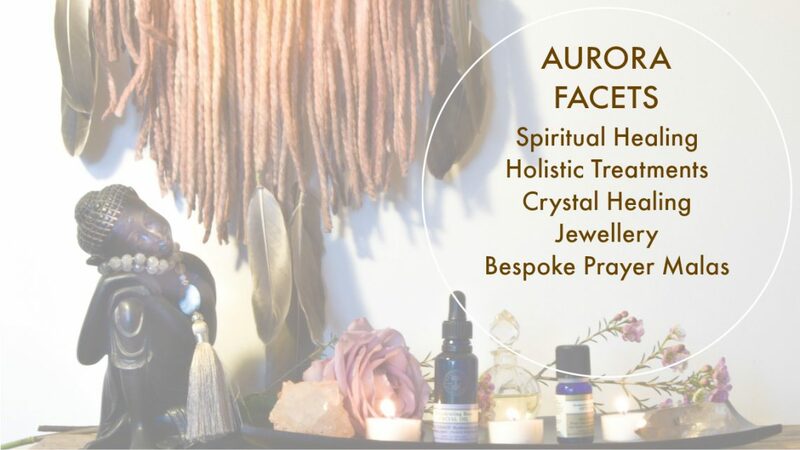 All treatments are specially designed and customised by myself, great length having been taken to work out a sequence that will cater for the mind, body and spirit. Please find immediately below a quick to view Treatment List which is easy to print off. Below this is a fuller guide to each therapy and what to expect. Receive your very own personal piece of Spirit Writing channelled from Spirit Guides given in the form of esoteric poetry (please see my blog for examples of prior writings) Readings done remotely and e-mailed. Allow me to channel in tuning in to the Mermaid or Angelic realm using a triple or singular card spread to include my own intuitive Spirit Guidance and also messages connected with the cards. Readings done remotely and e-mailed. Oxypeel Specialist Facial for acne, it works by removing the film of bacterial on the surface of the skin and imparting oxygen to the base of it, healing the basal layer allowing the skin to regenerate discouraging microbial growth. Tried & tested by myself for over 20 yrs with exceptional results. Revitale Rejuvinating Specialist Facial, aids the repair of damaged cells, supplies essential nutrients to the skin, stimulates a deeper level of circulation and increases oxygen uptake to the epidermis. Exceptional results. Recommended as a course, initially sessions being weekly then reducing. Full details can be given by phone or email consultation. £600 (6 sessions) or £900 (10 sessions) Maintenance £120 per session if taken singularly. Bespoke packages of 2 hrs or more available upon request. 24hrs cancellation notice is required or 50% of the treatment value will be charged. Healing sessions will always involve consultation time which forms part of the treatment time, this takes slightly longer upon the initial visit in order to give an all-round picture of what is going on in your life and what needs balancing as part of your own Spiritual journey and self-practice. I tend to customize what is needed on a client by client basis, this can include meditations, visualizations, breathing techniques as an example, depending on your needs, as well as the healing aspect of method chosen. Reiki is a Japanese Healing Art started a little over 100 years by a Japanese man called Mikao Usui. The Japanese word ‘reiki’ can be translated as ‘universal life energy’ and the Usui System is a way of working with Reiki for healing of self and others. The word healing is used in the sense of regaining harmony and wholeness. Usui Shiki Ryoho addresses the whole person on the physical, emotional, mental and spiritual levels and those that we cannot identify at the present. After the consultation, some time is usually spent with either grounding, meditative or deep breathing techniques to find a place of stillness in order to gain the most from Reiki. You will remain fully clothed and on the couch with supportive cushions, encouraging one to slip into deep relaxation. I will then work either hands off or on depending on requirements and preferences either in sequence and or intuitively over the body, sometimes this includes turning over in order for me to work on the back area. You may feel nothing or a lot of things varying from energy flow becoming apparent, heat, cold, visions to name a few. However, if nothing is seen or felt Reiki is still working. There is no harm that can come from Reiki just positive effects which vary from person to person. Reiki is recommended for everyone regardless of whether you are ill, healthy or just in need of balance. Crystal healing is a holistic, non-invasive, vibrational energy-based system of healing. That is, it treats the whole person and their integrated energy system. It is therapeutic and deeply relaxing. The technique uses precisely placed crystals either on and/or around the physical body. Crystals may also be laid in precise geometric patterns (grids) within the environment. Crystals absorb, focus, direct, detoxify, shift and diffuse energy as they interact with the electromagnetic forces and subtle vibrations within the subtle human or environmental energy field. In the context of crystal healing, illness is a dis-ease, the final manifestation of spiritual, environmental, physiological, psychological, emotional, mental, karmic, or ancestral imbalance or distress. Healing means bringing mind, body, spirit and environment back into harmony, restoring the body’s natural rhythm and equilibrium. It does not imply a cure. After the consultation, some time is usually spent with either grounding, meditative or deep breathing techniques to find a place of stillness in order to gain the most from the Crystals. You will remain fully clothed and on the couch with supportive cushions, encouraging one to slip into deep relaxation. There are a variety of crystal healing styles of treatments depending on your needs. At all times the crystals are placed over clothing except for instance on the face. I will use a combination of dousing to determine various energetic imbalances and incorporate either hands on or hands off healing depending on what is called for at the time. The session finishes off with aura cleansing and protection, leaving you full grounded and ready for your time away from session. Much like Reiki or any healing you may feel sensations or have visions or you may not, either way, the energetic work takes place. Crystal Healing is suitable for all, much like any other type of therapy, however, it is about choosing what you are most drawn to. You will find a wide range of crystals for sale to complement any advice given during the session in order that you can boost the healing at home. I am an official ANGEL ENERGY PRACTITIONER ® having completed Flavia Kate Peters Angelic Training® independent training course who is accredited to teach by Doreen Virtue. Working with the Angels is a wonderfully gentle yet empowering powerful experience, bringing the body, mind and spirit in to harmony, leaving one usually uplifted with a sense of lightness throughout. An oracle card reading channelled through the Angels to give general gentle loving guidance. Chakra clearing, usually using crystals and sometimes palm healing. Bringing back harmony, balance, creativity and intuition into sync. Etheric cord cutting, this cuts draining psychic energies attached to those either past or present from situations or conversations of past. Severing the negativity allows freedom to continue in a positive light without the weight pulling one’s energetic balance down all the time, giving one often a new lease of life. Etheric Vacuuming, this is a powerful technique especially for empaths, healers and those always feeling a sense of responsibility for other people’s happiness, fearful to let go, making one feeling constantly drained and unable to raise one’s energetic levels. During this technique psychic dirt and toxins will be lifted from your body, replaced with positive uplifting energy, transforming anger, low moods and stuck energy into a positive energetic light. Invoking Angels and Archangels, these divine beings are present during these sessions, helping to connect your relationship with the angelic realm and to spread their loving guidance. Each session is as unique as you are as I work with these Divine beings who grace us with their loving light. With Reiki intent the procedure of the treatment does not change, it just gives you the choice whether to have Reiki intent or not. Reiki intent is just that, simply the intent that Reiki will flow throughout the session. There is no hands-off or on palm healing with just the intent. During this lovely one hour facial, you will be treated with organic essential oil products to suit your skin type. Starting off with a foot cleansing ceremony and intention setting, getting rid of what no longer serves you and setting intentions for what you wish to bring in to your life. The facial routine consists of a thorough double cleanse, exfoliate, massage and mask application before finishing with a treatment moisturiser. During your facial, you will have the sensory experience of all the beautiful oils used in the therapy. Essential oils benefit the mind, body and spirit. Inhaling essential oils allows them to drift up to the little nerves at the back of the nose and carries them to the part of the brain that stimulates our memory and emotions. The massage combines lymphatic drainage techniques which helps to eliminate toxins that build up in the skin that cause dulling and lacklustre appearance. It also stimulates elastin, massaging elastin is like having exercise for the face so is anti ageing. I also use acupressure which helps stimulate drainage and keeps the mind, body spirit relaxed and in tune. A mask is then chosen to complement your skin type, and whilst it works it’s magic either a scalp or shoulder massage is applied to continue the sense of wellbeing and relaxation. Finishing off, a collection of specialist moisturisers and or serums are chosen, ending in a closing ceremony to complete, using oils to invigorate and balance awakening you for the day ahead. This facial is using the Neals Yard Organic products and is ideal for well-maintained skins or for people just treading tenderly into the world of facial care. The facial will start and end the same way as a full one hour with the cleanse and moisturise and either an exfoliation & mask or massage will be applied between, depending on your needs. Revitale Treatment for skin tightening & anti-ageing. Sessions pre-booked as packages above can combine either specialist treatment to be used within the recommended time span discussed within your initial consultation. On a personal note, I had been a sufferer of acne since the age of 13 and it blighted my teenage years causing me no end of problems including social anxiety as it encompassed not only my back, chest but face too and this carried on until my 20’s. I tried a whole variety of treatments to try to get rid of it, my beauty box was like a science lab, some of the treatments were prescribed, some not and most ended up costing a fortune. Some worked for a short period by drying out my skin, others caused me irritation, most did nothing. It was not until I started my training as an Aesthieticienne that I discovered by chance the Oxypeel product and for me it was life-changing, so much so that my passion for it has carried on over the years as I champion it passionately for others to use and have been using it professionally for a long long time now. I am now at the age where the anti-ageing Revitale treatment is calling out my name and I can say that this has equally wonderful benefits for not only tightening, anti-ageing but boosting the circulation and just giving a wonderful texture and look of ‘freshness’ to the skin. Now I have said my personal statement, I bring you on to the more formal information relating to these products. Both of the advanced facial treatments are non-invasive, painless treatments for treating a wide variety of skin disorders. The treatment helps to restore the skins natural balance. It does not cause dryness, flakiness or redness, and does not cause photosensitivity. Exfoliation – biologically disintegrates and digests damaged cells without any adverse effect on healthy cells. Both treatments are predominantly mask based. After a facial foaming cleanse the mask is made up, applied and this is when the magic happens for usually 45 minutes unless it is your first time. During this time there is a need for Mindfulness to embrace the act of what the mask ingredients are performing and you will be encouraged to relax with stillness in an ambience of comfort and warmth. There is no pain involved during either session, however, both do give a sense of tightness and activity when reaching their peak time of action. After the allocated time has elapsed the mask is removed and the treatment moisturiser applied. Homecare is essential to continue the good work of the treatment and the recommended product line is minimalistic and affordable, all of which is discussed upon the consultation. Our feet tend to take on the weight not only of the day but the world as we often take them for granted. It’s great to give back to these two wonderful workers that hold us up during the day. Neals Yard’s naturally nourishing Bee Lovely range uses honey, beeswax and propolis and uplifting organic orange essential oil – and Helps Save the Bees as 3% of sales goes to bee-friendly charities. First of all, you will be treated to a cleanse with the Bee Lovely Bath & Shower Gel using hot mitts with the intention setting of getting rid of what serves you no longer and bringing in to your life positivity combined with some breath work. Expect to be treated with some mini crystal work as well as a mix of reflexology and massage techniques using the deeply nourishing Bee Lovely All Over Balm in this bespoke Holistic Healing Hub treatment. The products will soothe and comfort dry and rough patches of skin leaving you with a sense of calm and serenity within and a sense of lightness upon your soles. Our backs are often a long forgotten area until they cause us pain. It’s hard to see our skin let alone perform any maintenance. In this little back MOT, you are treated with some intention setting to get rid of what no longer serves you and to bring positivity. We will also do some breath work. After this a scrub is chosen to suit your needs to slough off all the built-up dead skin that tends to give our backs that sluggish and or pimpled look, revealing smooth and naturally nurtured skin. This is followed by dry body brushing to invigorate the circulation helping to eliminate toxins and also provide a better platform for your skin to readily absorb the essential oils. A few more moments of breath work are embraced as your skin is cleansed with lovely soothing hot mitts and spritzed. An application of Neals Yard aromatherapy blends and or waxes will be applied with a holistic massage utilising lymphatic drainage, acupressure points and muscle relief techniques to leave you with a sense of well-being for the mind, body and spirit. The session finished with hot towel and spritz leaving you ready for the day or evening ahead. I look forward to seeing you at the Holistic Healing Hub to find your place of wellness and peace. Gift Vouchers are also available, for a monetary amount or for a specific treatment. Advice can be given. Valid for six months from the date of purchase.